Captain John Smith is famous for his pivotal role in the exploration of New World. John Smith was responsible for the settlement and survival of first English colony in the New World. Captain Smith was an English soldier, explorer, colonizer, publicist and an author. He led the group of colonists of the first British colony at Jamestown, Virginia from September 1608 to August 1609. He is known for his incredible adventures and expeditions. However, due to his own exaggerated storytelling, his real achievements have been masked by lure and legend. Even then, Captain John Smith is considered as an outstanding explorer and leader, who played an important role in the history of America. 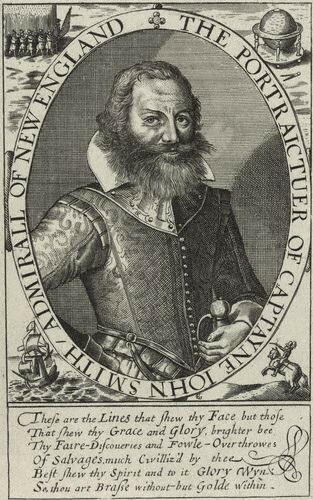 Captain John Smith was born in late 1579 or early 1580. The exact date is not clear. He was born in a farmer family in Willoughby, England. He did his studies in Alford and he stopped his studies after his father died. His father died in 1596, when he was just 16. The death of his father brought a drastic change in his life, and he started his life as a traveler and adventurer. After his father’s death in 1596, he served as a trainee to a local merchant, Thomas Sewell. In1597, John Smith left his house and joined the army against the Spaniards. He also fought for independence of Dutch countries from Phillip II, the Spanish King. He also took part in the Long War against the Ottoman Turks. During his war against the Turks in Hungary, he was captured and kept as a slave by the Turks, but after two years, he escaped to Russia and came back to England in 1604. After returning in 1604, John Smith joined the London Company and developed an interest in New World colonization. He became involved in the plans made by the Virginia Company to colonize North America (Virginia) for profit. In 1606, under the charter by King James, he started his expedition in the New World. In a crew of three small ships, The Godspeed, The Discovery, and The Susan Constant, Smith sailed to Virginia. During this voyage to the New World, John Smith was accused of defiance and was imprisoned on the ship. On May 13, 1607, all the 144 colonists landed at Jamestown. Jamestown was named in the honor of the King James I. and Smith became one of the councilors of the Virginia colony. During that time, he explored the geography and ethnology of Chesapeake and while sending all these details back to England. The first few months in the establishment of Jamestown were quite difficult and marked with hardships. Many colonists suffered from disease, malnutrition, and frequent Indian attacks. Many of them died due to harsh weather and scarcity of food and water. The council of seven men was ineffective in handling this situation. During that time, John Smith started expeditions in the interiors of the Jamestown and initiated small trades with the local Indians. In 1607, local Indians captured John Smith along with many other colonists when they encountered an Indian hunting party. 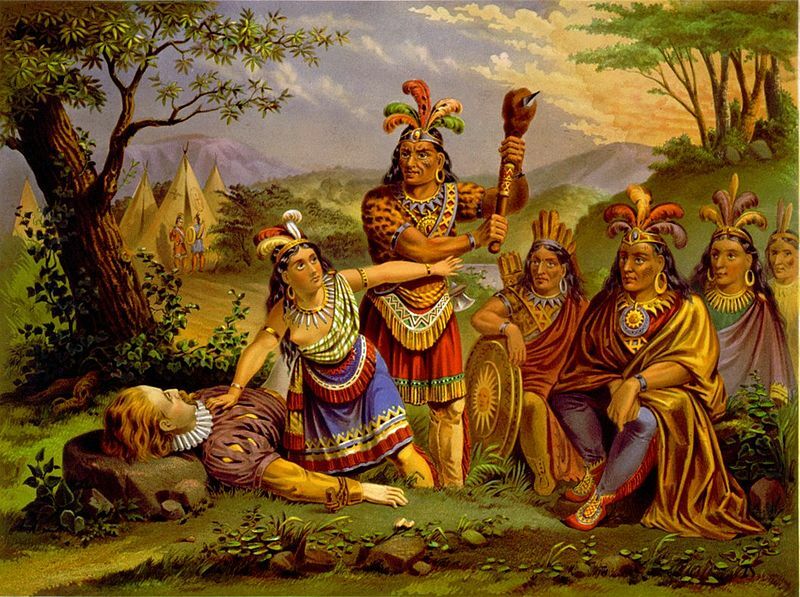 All the other English colonists were killed and John Smith was taken to Chief Powhatan. There he was sentenced to death, but his life was spared because of Powhatan’s 11-year-old daughter, Pocahontas. Captain John Smith told this story by himself after the death of Pocahontas. 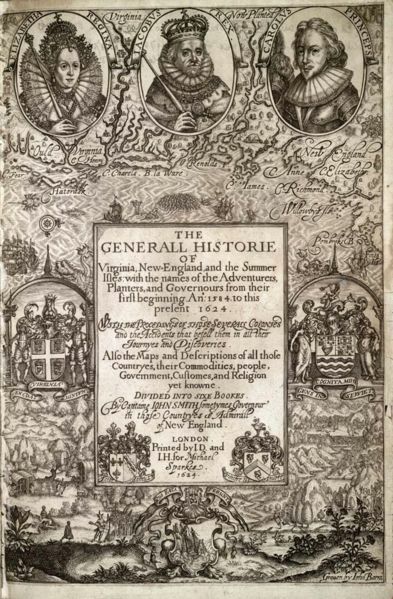 During the summer of 1608, John Smith left Jamestown to explore Chesapeake Bay and Rappahannock and Potomac rivers and all his explorations were drawn in his map of Virginia. After returning from his explorations, in September 1608, Smith was elected as the president of the council. He emerged as a great leader and made efforts for the settlement of the colony. A rule was forced that one who works will earn food. Farming was introduced and trading relationships were built with the local Indians. He is responsible for survival of his colony through his leadership qualities, fighting skills, organizational abilities, and improving relationships with the local Indians. However, Smith’s role in the leadership of the colony was quite brief as Captain Newport returned to Virginia and became the new president of the colony. Captain John Smith returned to England in 1609. When John Smith left, a dark period of the Jamestown colony started. Scarcity of necessities and conflicts with the Powhatan’s tribes led to its disappearance. In 1614, John Smith returned to America, explored the coasts of present day Maine and Massachusetts and named the area “New England.” He found and brought back fish and pelts. During his attempt to return to “New England” in 1616, John was captured by French pirates. After few weeks, Smith escaped from captivity and returned to England. After coming back to England, he published his expeditions and explorations in “Description of New England.” He started writing accounts of his explorations for the rest of his life. He died in 1631. • John Smith helped in establishing the first English colony in North America. Under his disciplined leadership, the colony survived for two years in Jamestown. • John Smith explored Maine and Massachusetts Bay. • He explored Chesapeake Bay and Rappahannock and Potomac rivers. • After returning from Jamestown in 1609, he actively promoted colonization of Virginia. • He gave the map as well as history of Virginia. Captain John Smith was one of the most insightful authors who visited America during the colonial period. Though known to be a proud, arrogant, and boastful man, Captain John Smith narrated his adventures. A pioneer in literature, John Smith was one of the first writers to describe America’s landscape beauty. All his writings and works are collected in DocSouth’s “Library of Southern Literature”. You should add what country he sailed for.